I took this one a couple of months ago in downtown St Paul. 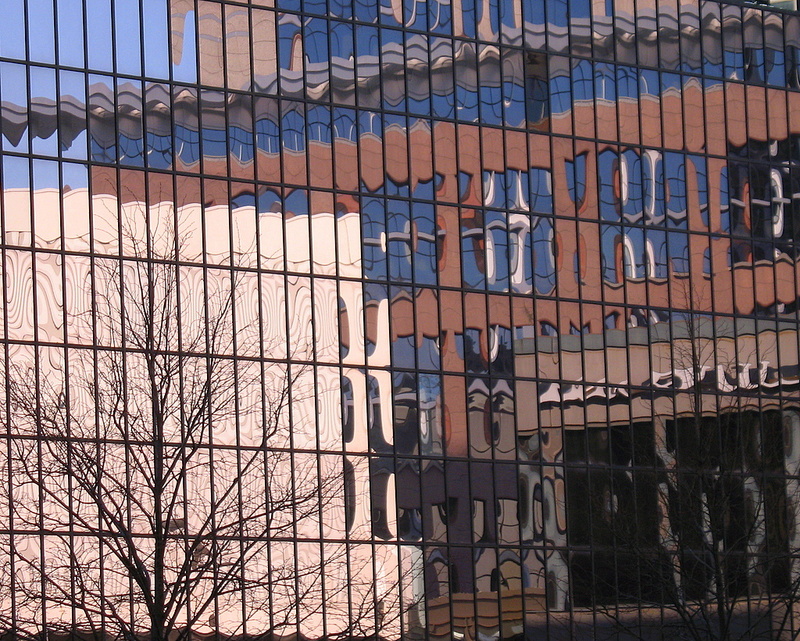 The building is so distorted in the reflection, I cannot recall which building it is. Doesn't matter you don't remember the building - it's just such a fascinating photograph. I love reflection photos. This is super. Very nice shot. I really like refective anything!